We know that your wedding day is all about you, your partner and starting your lovely life as a married couple together and I love a simple, no fuss wedding just as much as I love more elaborate affairs. Some people want a wedding that’s low key and others want to create a bit more of an experience for their guests. 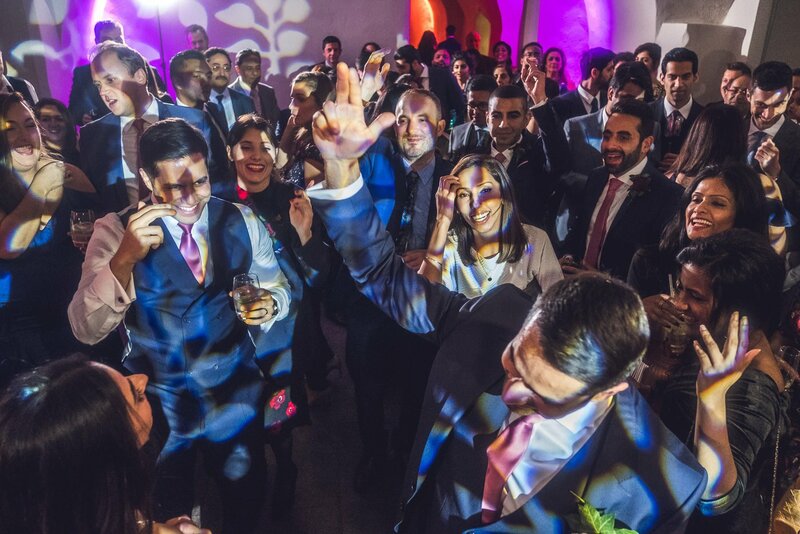 With that in mind I’ve brainstormed some of my favourite wedding entertainment ideas to get your guests buzzing and involved in your wedding day. Have you come across novelty photo booths before at weddings? Well GIF booths are a little bit different! With a photo booth you get an immediate printout of your photographs, normally two – one to be pasted into a guest book, and another for your guests to keep for themselves. There are usually some silly props provided (or you can provide your own to fit in with your theme) for extra fun. GIF booths, although similar to a photo booth, will provide you with a GIF of the photos you take that can be uploaded straight away to social media. This is especially useful if you have a social media page or hashtag set up in honour of your wedding. Not only can your guests upload their particular favourites to their own personal pages, but they can post them to your wedding page so you will have a permanent collection of your friends and family in a lively GIF form. It also means that there will be zero battles between who gets to keep the photo-reel as they can be kept forever by all! Oh, we do love gin, don’t we? Another great trend emerging for weddings is the hiring of a drinks specialist and you can find everything from prosecco vans where the prosecco flows freely from the tap to cocktail carts where guests can sip on bespoke cocktails. 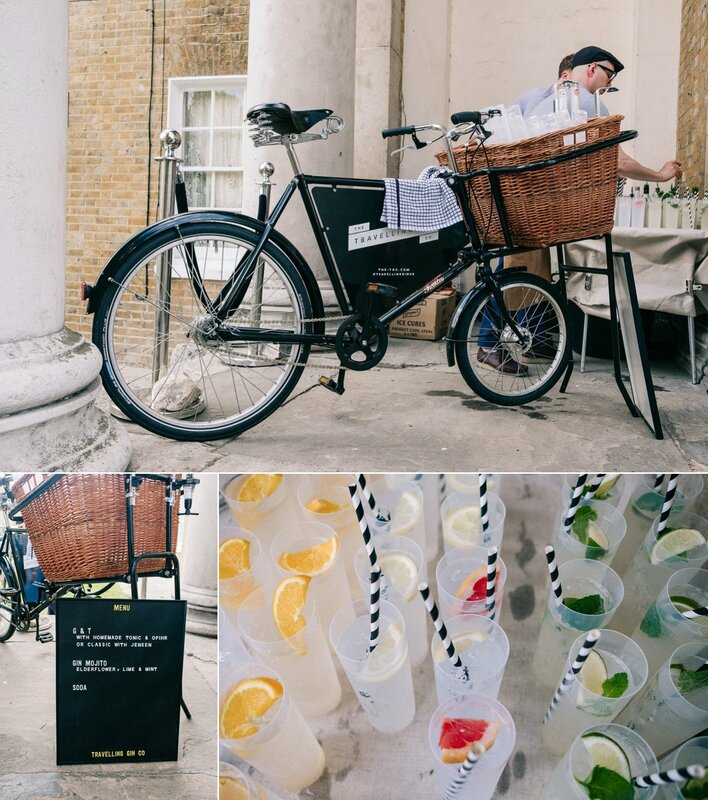 I’m quite partial to a gin from The Travelling Gin Company’s cute bike. What’s not to love about stripy straws gin cocktails? 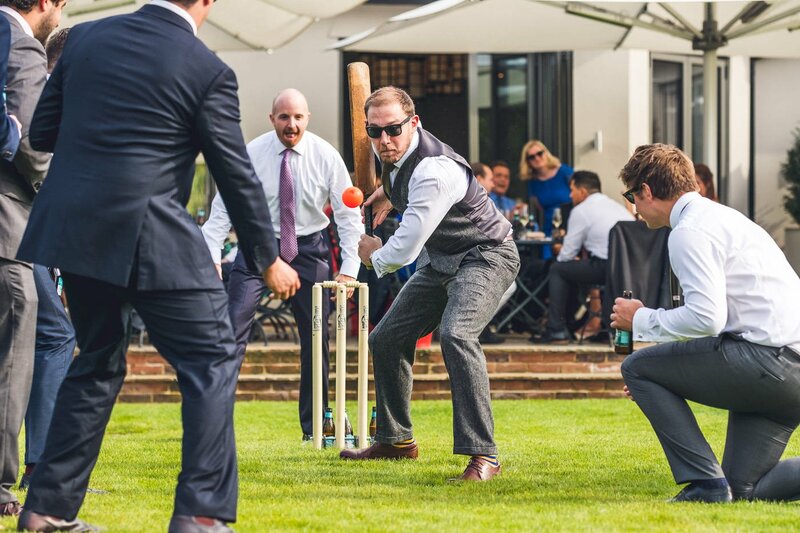 At Henry and Emma’s very English countryside wedding a game of cricket was the perfect entertainment on a summer’s day. With smaller teams and only a few innings each, a short form cricket match is a brilliant way of working up an appetite before dinner. A little obvious, maybe! But choosing to hire a live band with a specific theme, like swing, New Orleans jazz or soul is an original and lively way to entertain your wedding guests. 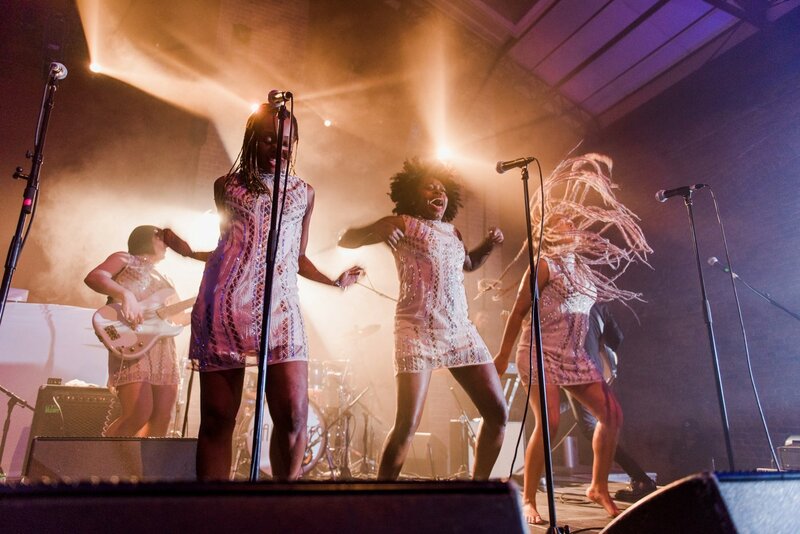 The Faithettes played Sophie and Gonzalo’s Village Underground wedding and they were amazing! DJs are another brilliant option too. To get your guests involved ask for their favourite songs for the playlist. A brilliant DJ will keep the dance-floor packed from start to finish. I would highly recommend the awesome That Event DJ, The Wedding Smashers or Disco Wed. The possibilities for games to entertain your wedding guests is endless. 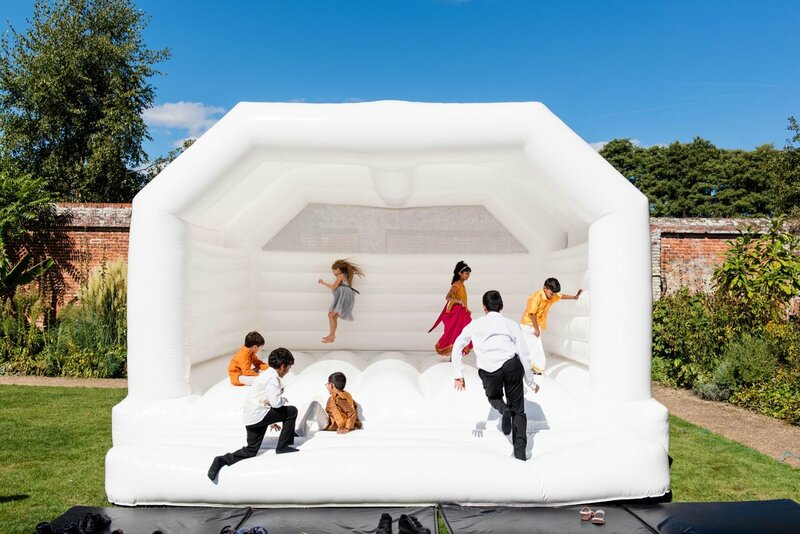 We’ve seen sports day relays, bouncy castles, table trivia, lawn games, giant jenga, and even dance offs at wedding receptions. Games are always a big hit for inexpensive entertainment, so you really can’t go wrong by making them a part of your day. The most unique wedding entertainment I’ve ever seen? Wrestling! 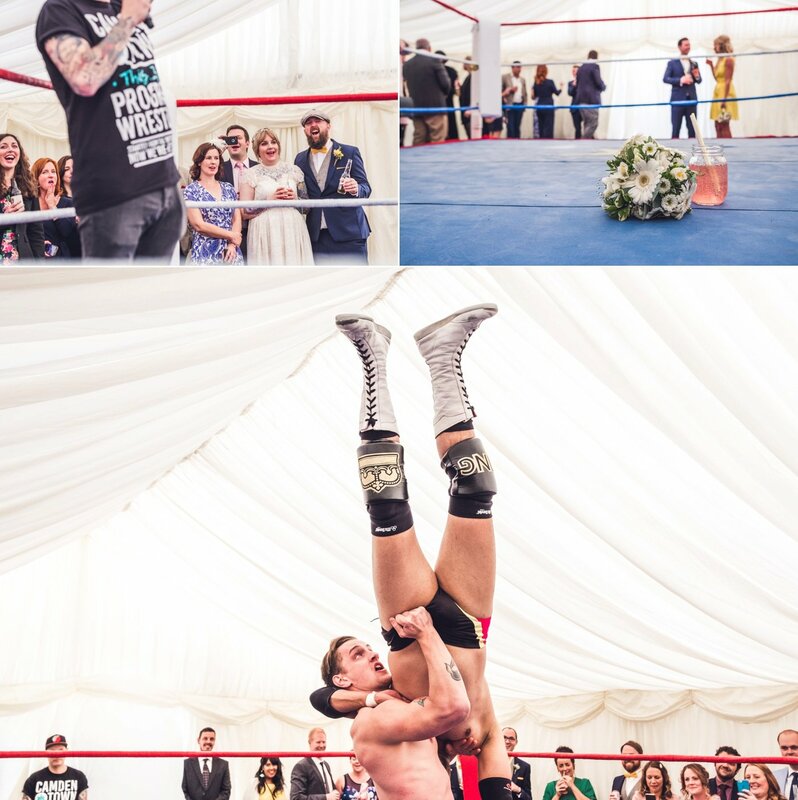 Lorna and Chris love wrestling so they treated their guests to a professional wrestling match. Progress Wrestling brought the ring, the wrestlers and guests loved it. . You don’t get much more unique than that! So there you have it, some super creative and unique wedding entertainment ideas to get you started. Have you thought about what kind of wedding entertainment you would like on your wedding day? Have you seen entertainment at a wedding that everyone loved? Leave a comment below letting us know all about it! You might also want to check out some more advice via my wedding planning guide.